That’s cheers all round then. I didn’t watch all of Question Time this week but one thing that Eric Pickles said flew out at me (in what was otherwise an incoherent mess once Dimblebum had punctured his well rehearsed soundbite): before tax, the UK has the lowest priced diesel in Europe. It sounds like a startling, killer fact, but it actually demonstrates what a pointless debate we are having in the UK at the moment about taxing fuel. We have understood since Adam Smith that price is determined by demand and supply. Tax petrol 2p and it doesn’t automatically go up 2p because competition will hold it down. Of course, because demand for petrol is inelastic, petrol stations have a bit of leeway and so can afford to pass the increase onto consumers. But sadly they retain the same advantage if you lower tax as well: if we cut the tax on petrol by 2p, you can guarantee that most of that saving will simply be eaten up as profit by oil companies which they can safely blame on global market forces. They won’t even be lying. All this is sub-GCSE stuff, so how come I haven’t heard a single politician point this fact out? At a stroke, Boris Johnson has undermined the capital the Conservatives have made out of the 10p income tax fiasco. It isn’t that the cheap oil deal with Venezuela was defensible – it wasn’t. It was this sort of tokenism that disqualified Livingstone from office in the eyes of most Londoners. But no-one begrudged low income earners from getting half-priced travel. In Crewe, the Tories ground Labour into the dust attacking them for doubling the 10p rate and blithely ignoring the impact it would have on low income earners. Now the Tories have imposed swingeing cuts on a very similar group in society. What’s worse is the timing: on a bank holiday weekend just hours after winning the Crewe by-election during which time they had very carefully kept quiet about the plans. It is clear they don’t plan to offer people on income support any alternative, otherwise why the stark announcement rather than a more cuddly “consultation” about how to continue paying for the scheme? It is clear they knew it would be politically damaging. And it is abundantly clear that was not merely approved by CCHQ and Cameron but crafted by them in the first place. Make no mistake – this was Cameron’s decision. Expect this issue to become a Focus leaflet staple, within London at least. I can think of no better symbol of how paper thin the “new” Conservativism really is. Scratch beneath the surface and the nasty side is just itching to come out. At least now we know, but is has the public already made up its mind? Following on from a conversation I had with a friend the other day, I thought I’d mention this idea here. 1. Per minute billing would encourage people to vacate the space as quickly a possible. 2. It could be easily integrated with residential parking passes (just as Oyster is already used for complementary travel). 3. Traffic wardens would have less of an incentive to hover around parking meters waiting to pounce on anyone who outstayed their welcome. 4. Instead of issuing fines, you could just have an automatic billing system whereby the first hour cost X per minute while after that it went up to 10X per minute – people couldn’t use the network until they’d cleared any backlog on their card. 5. 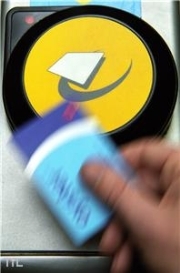 It would encourage motorists to acquire Oyster cards – and thus make greater use of public transport. There are obviously civil liberty concerns about the being able to use the system to track people’s movements, but those concerns apply to the Oyster system anyway. They are solvable, by scrapping the RIPA for example. Either way, London is the most CCTV riddled city in the country. It seems to me it would offer tangible benefits to the motorist, while encouraging efficient use of parking space at the same time. What are the disadvantages?